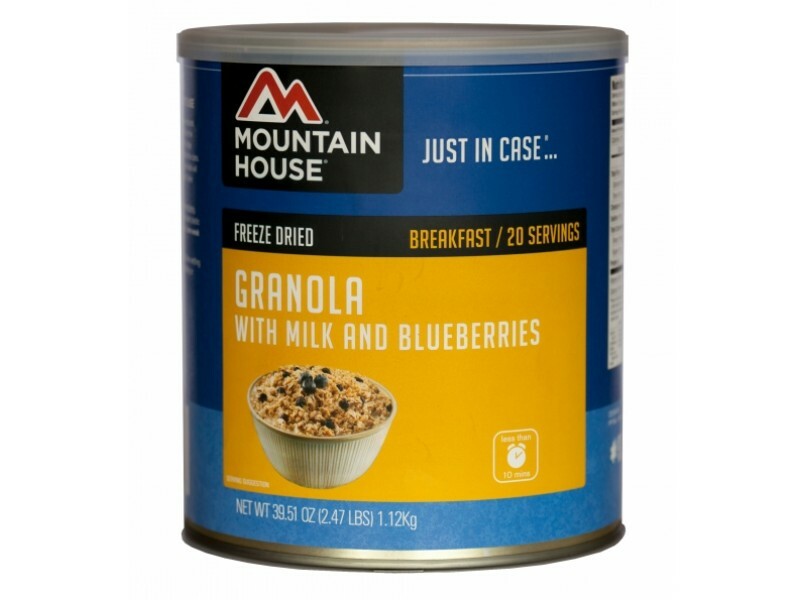 The #10 can of granola with blueberries and milk from Mountain House is an excellent addition to your emergency food storage program. It will provide you with 20 full servings of this healthy, and great tasting, food, which is plenty for you and your family to enjoy for several meals. 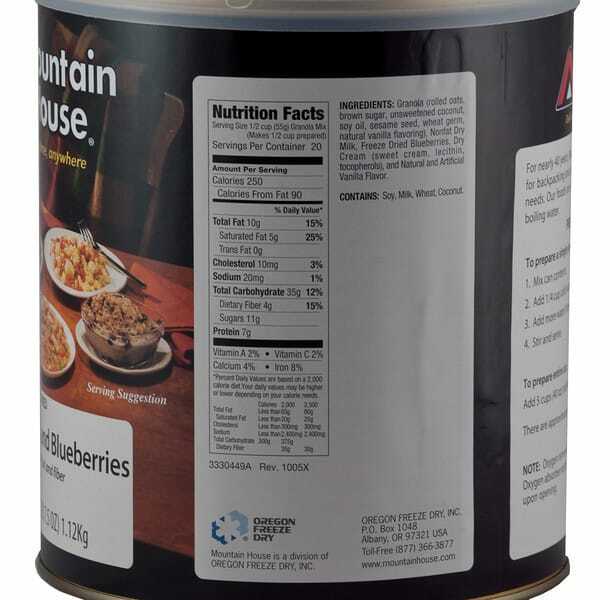 Whether you eat it for breakfast, or for a great tasting snack, you’ll be glad you have this item in your food storage system. The quality can helps keep the food fresh, with a shelf life of 25 years. There are also healthy probiotics added in, which makes this one of the healthiest emergency foods on the market today. One of the most important things to consider when creating an emergency food storage system is the variety of food you’ll have. 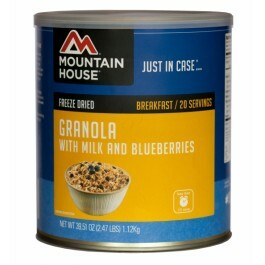 This granola with blueberries and milk will be the perfect addition to any stockpile, because it adds 20 servings of high quality food, which everyone will love. Granola is flexible enough to be a great breakfast, or a dessert for anyone in the family. Of course, it is also a healthy food, with 7 grams of protein, probiotics and other nutrients, which are essential for staying healthy. 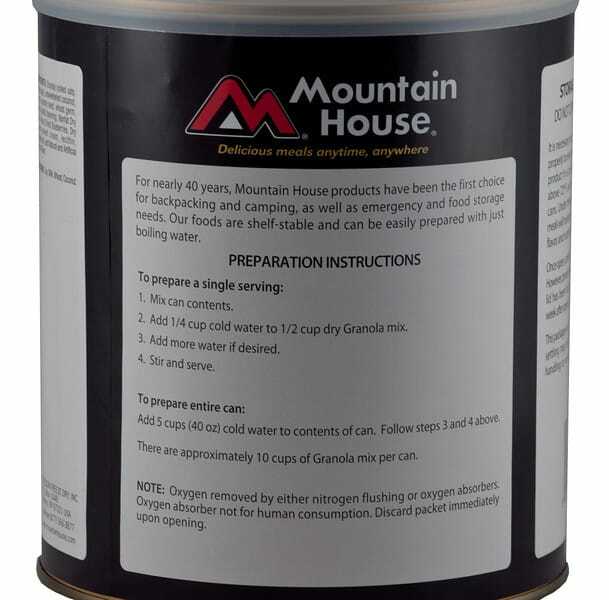 Adding this product to your stockpile is extremely easy as well. When it arrives, you can store it on your shelf for 25 years without a problem. 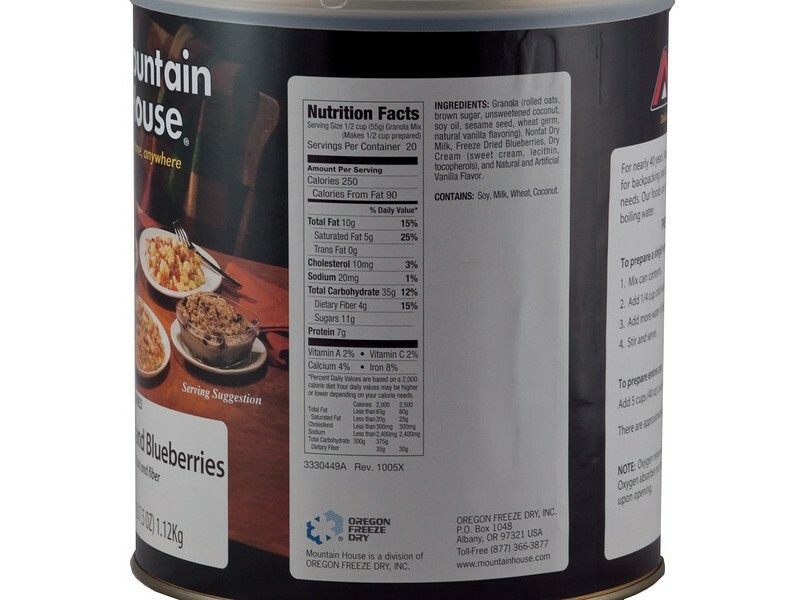 The cans are easy to stack, so you can order multiple cans of this food, or store it along with other #10 cans in your pantry, closet or other food storage area. Whenever you’re ready to enjoy it, just open the can and make as much or little as you’d like. Preparation is quick and simple, taking only a few minutes and some hot water. 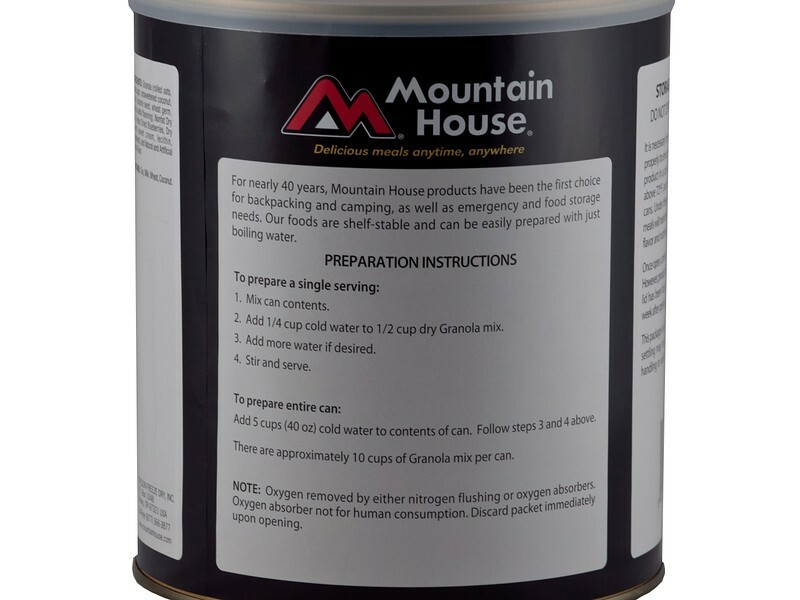 You can make it almost anywhere, from you home to a camp site or even while on the road. One can contains 20 1/2 cup servings.